One of the best ways to begin planning a successful trip is by working with a professional travel consultant. The consultants of Island Dreams are trained, skilled professionals with over 30 years of experience in the travel industry. 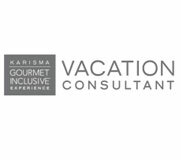 We are experienced with helping individuals and groups plan and execute their Vacations, Honeymoons or Destination Weddings WITHOUT ANY ADDITIONAL COSTS. An Island Dreams Consultant can take care of all of your travel needs and give you the confidence and peace of mind that your vacation is efficiently planned and complete with all documents needed. 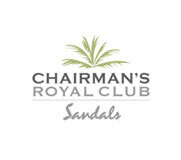 A very HIGH LEVEL OF SERVICE is our top priority for every vacation and every client. Why trust your travel plans to the internet when you will have us beside you every step of the way with no extra fees. What sets us apart from the rest…… our travel experience, our professionalism, our quick response time and our love of travel! 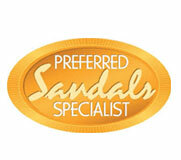 But more importantly, WE TRULY CARE about giving you the best vacation or honeymoon experience possible! Island Dreams believes it is about more than just making AMAZING memories for all of our valued clients; it’s about MAKING A DIFFERENCE and impacting lives. We are proud supporters of Faith Academy School in Ocho Rios Jamaica, Beach Bum Cares and the Sandals Foundation. Visit our heartwarming Make a Difference page. Honeymoon & Vacation Travel Designer, Preferred Sandals & Beaches Platinum Specialist, Member of the Elite Sandals & Beaches Chairman’s Royal Club, Sandals & Beaches Certified Wedding Specialist, Hard Rock Wow Wedding Specialist, Karisma’s GI Vacation Consultant, AMR Master Agent, Atlantis Ambassador, Hawaii Destination Specialist. 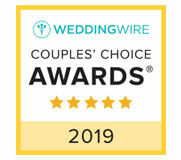 Tracy has over 30 years of making dreams come true in the travel industry and has specialized in Honeymoons, Destination Weddings and Vacation travel for the past 24 years. She has done extensive travel to the Caribbean, Mexico & Hawaii. In visiting these different destinations and resorts, Tracy has developed a wonderful rapport with onsite General Managers and key personnel so she can make sure that you are taken care of when you leave her hands. 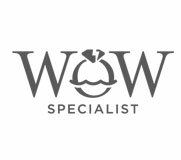 Excellent Customer service, quick response time, attention to detail and making the trip planning stress free are her top priorities with every vacation planning experience. 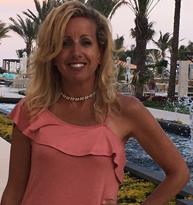 Tracy’s goals are to continue making amazing memories for her clients, to explore more of the Caribbean and Mexico and to continue efforts to Make a Difference for those less fortunate in these destinations. 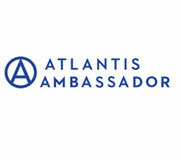 Tracy has worked in the travel industry for over 20 years and her accolades include Atlantis Ambassador, Sandals Gold Specialist, & AM Resorts Master Agent. Tracy has worked for a well renowned International tour operator, she has worked as a business travel consultant, and a vacation travel specialist. 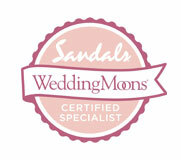 She specializes in honeymoons & family vacations and has traveled all throughout the Caribbean & Mexico. Some of her favorite resort destination picks are Atlantis, Bahamas, Beaches Turks & Caicos, Unico 20’87 in the Riviera Maya, Secrets Maroma Riviera Maya, and Sandals Emerald Bay in the Exuma, Bahamas. Tracy is very detailed oriented when planning trips which is her biggest compliment from her clients. 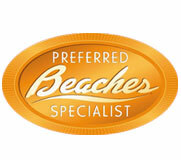 Nicole has over 20 years of experience in helping travelers to plan the perfect vacation! 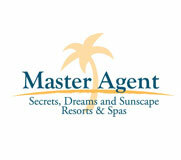 She specializes in adult, family, and honeymoon travel throughout the Caribbean, Mexico, Europe and the United States. She loves cruising and has visited many of the Caribbean islands and Mexican ports (both East and West coasts); along with much of the United States and Canadian destinations. Though her heart still lies with that big old mouse and making families dreams come true! Nicole provides personalized service while planning, throughout travel, and beyond to ensure that you have a stress free experience from beginning to end. Her goal is to continue making magical and memorable vacations for all of her travelers. Nicole’s preferred vacation is a combination of her two favorite adventures, a Disney Cruise! Chelsea has been a travel agent with Island Dreams now for over a year and has gained extensive knowledge in the travel industry. 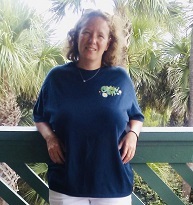 In her years’ time, she has become a Hawaii Specialist, WOW Specialist, Certified Sandals Specialist and has also completed training in the Disney College and Universal Studios. Chelsea’s favorite destination to date is Jamaica because of the vibe of the island and the reggae music. She has traveled all around the Caribbean, Mexico and Hawaii. She also enjoys cruising from time to time. Chelsea specializes in honeymoons, destination weddings and family travel.